Why is it Important for Your Inspector to Incorporate Drone Use In Home Inspections? The Standards of Practice for home inspections include visible and readily accessible features of the home. But what if the roof has a very high and steep pitch that would be unsafe to walk on? And what happens if the structure of the roof is in such poor shape that it is dangerous to step on it for risk of falling through? Aerial drone use in home inspections is the solution. 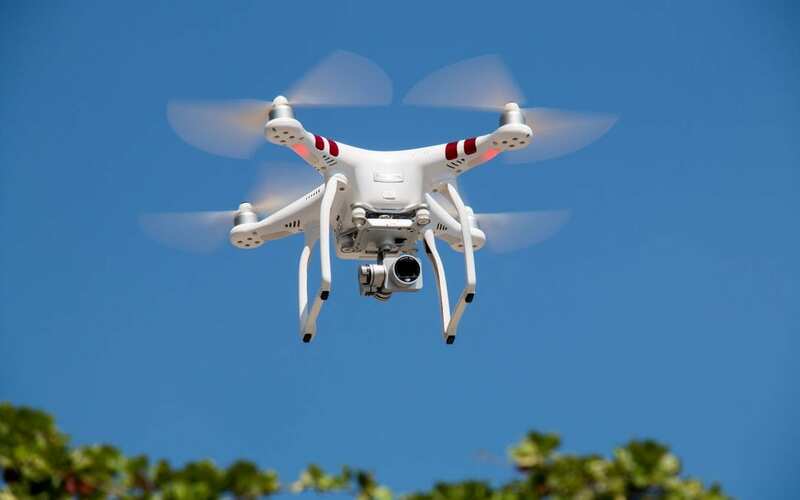 Unless your home inspector uses aerial drone technology, you are out of luck, and the roof will only be inspected from the ground or a ladder. Inspecting a roof this way, even though it is technically all that is required, does not give a complete picture of the state of your roof. Usually, you won’t get a clear picture of the entire roof unless the inspector walks on the roof or takes photos with an aerial drone. A home is often referred to as “the roof over your head”. The roof is by far one of the most critical components of a house. If the roof is damaged or leaking, it should be repaired or replaced as soon as possible. Without the use of a drone, issues may be overlooked in a home inspection and you’ll get an incomplete overview of the condition of the home. When hiring a home inspector, make sure you find out if they can incorporate drone use in home inspections. Walking on the roof and looking closely at all of its components is the preferred way to inspect a roof. However, if an inspector does not deem it safe or possible to walk on all areas of the roof, he or she should use an aerial drone in order to inspect it thoroughly. A drone can not only get a bird’s eye view of the entire roof but can hover closer to the roof to take images of hard-to-reach features such as the chimney, valleys, and gutters. Without the use of an aerial drone, images of certain components and areas of the roof will not be included in your inspection report. Uncertainty about the condition of the roof is not an easy thing to stomach when making one of the biggest investments of your life. Hub City Home Inspections is pleased to offer drone use in home inspections to inspect inaccessible roofs, at no additional cost! We believe that you deserve to have the full picture of your potential new home’s condition and chose to invest in this technology to best serve our customers. Contact us today for your next inspection, or use our easy-to-use online scheduling tool!